The Dutch food safety board NVWA has admitted it was tipped off about the use of the banned pesticide fipronil on poultry farms in November 2016 but says that no tests on eggs or birds were carried out a the time. NVWA inspector general Rob van Lint told broadcaster RTL news that the tip off said fipronil had been used to clean the barns. ‘On the basis of the information we had then, there was no evidence that fipronil was in eggs,’ he said. Van Lint said the tip-off was properly checked out at the time, but declined to say what had actually been done, RTL said. The NVWA concluded there was no direct danger to health and that there was no need to take samples from chickens and in the barns. On Tuesday, Belgium said the Dutch food safety body had been warned about the contamination last year and accused the NVWA of failing to act. Belgium itself is under fire for not reporting the problem to the European authorities as soon as it identified fipronil in eggs in June. The scandal only broke towards the end of July. Toxicologist Martin van den Berg told broadcaster NOS that the decision not to check eggs was incomprehensible. ‘You can’t say there is no danger to health if you haven’t carried out tests, he said. Millions of eggs have been removed from Dutch, Belgian and German supermarket shelves because of the contamination. 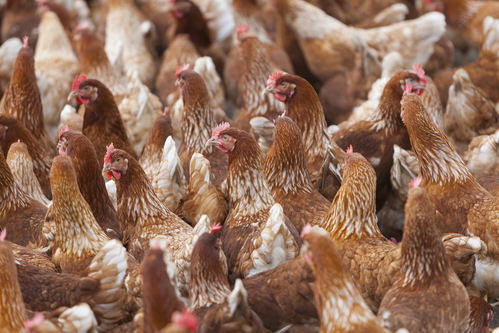 Dutch company ChickFriend, which used the pesticide-contaminated delouse agent and Belgian firm Poultry-Vision, thought to the be source of the fipronil, are both under investigation. Meanwhile, traces of the banned pesticide have been found in biscuits and chicken meat, according to research lab TLR. However, toxicologists say the quantities are so tiny as to pose no threat to human health and supermarkets have no plans for a product recall.